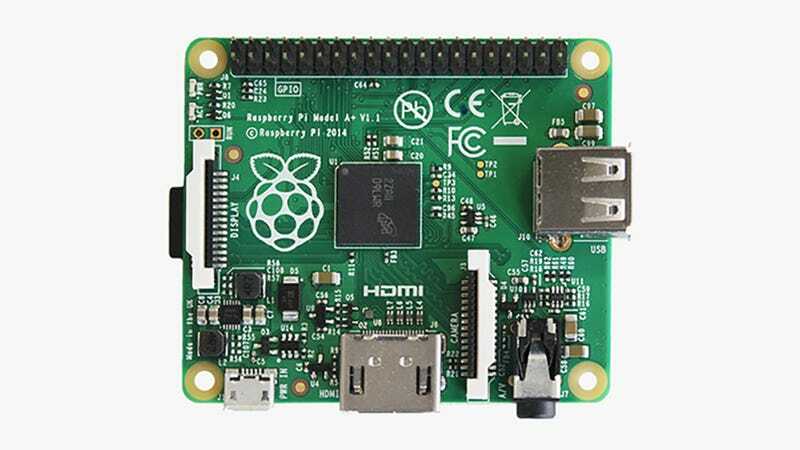 The new Raspberry Pi is smaller, cheaper and more energy efficient—not a bad way to update a best-selling device. Whether you've taken the plunge on one of the new units or you want to put the original model to good use, we've collected together some of the most fun Pi-based projects on the planet for you to have a crack at. There are many ways to make use of the optional Pi camera module, and one of them is to set up a stop-motion-capable rig. Collect some Lego minifigs and you can be churning out custom-made movies in no time—as well as the Pi and the camera module, you'll also need a solderless breadboard, jumper leads and a tactile button. Visit the Raspberry Pi site for the rundown. Extend the reach of your home Wi-Fi network and get connectivity into the dark zones of your home (or office) with the help of a Raspberry Pi—you could even set up a separate network for guests. You're going to need an SD card and a USB Wi-Fi dongle to help complete the task, and a little coding is required to get everything set up correctly. See The MagPi for the instructions. If you're prepared to put in some time and effort, you can use a Raspberry Pi to create your very own touchscreen car dashboard, something that would cost hundreds of dollars off the shelf. It's powered by the XMBC media center software, so you can play music, watch videos, browse through photos and more (just keep your attention on the road). Visit Instructables for details. If you have a spare Nintendo Wiimote lying around you can use it and the Raspberry Pi to build your very own robot butler—the outer shape of the robot is up to you and whatever materials you have lying around. You'll also need to acquire a robot chassis (so it can move around) and a motor controller to work through the project. Full instructions are available on the Raspberry Pi site. Want to know who's been in your home office while you've been out? Looking to capture some footage of squirrels invading your back yard? A Raspberry Pi-powered motion sensor camera could be the answer. You'll need a parallax passive infrared (PIR) sensor and some basic coding chops but the finished gadget is worth the time investment. Instructables has a demonstration video. Another way to make use of the Pi's picture-taking capabilities is to fix it to a high-altitude balloon and see what kind of images and video you can pick up along the way. Thanks to the magic of GPS you can keep track of your Pi as it returns to earth, although photos can be beamed back remotely in case it's lost. Dave Akerman has a stack of useful related resources on his blog. If you or one of your relatives have trouble scanning text then this Pi-powered device will convert it into speech; but even if you don't have any problems with reading books it's still a fun project to try. You'll need a few add-on parts and the quality isn't as good as a professionally produced audiobook, but it's all about the joy of tinkering. Visit the Kolbire website to see an example project. If you want to build a camera from your Raspberry Pi then there are a number of ways to go about it—the more time-consuming ones often produce the best results. If you're prepared to do some desoldering and depopulating then you can build a slimline point-and-shoot from a Pi with a 3D-printed case and TFT screen. Everything you need to know can be found in Ben Heck's video. Building a clock from your Raspberry Pi and a row of Nixie tubes isn't too difficult a task and the results are certainly impressive—if you hook it up to the web you can even have it change time automatically as the seasons shift. Only a few lines of code are required and you can configure a wired or wireless setup as required. Head over to Martin Oldfield's site to see the instructions. Mix new and old technology with your very own Pi-powered Morse code station. You're going to need some extra bits and pieces, plus the wherewithal to program the Pi (keyboard, mouse, monitor) but once it's done you'll have a device that can encode and decode Morse; add a vintage key for extra authenticity. There's a full rundown over on the Raspberry Pi site. Small, cheap and requiring very little energy, the Raspberry Pi is perfectly suited to power your very own weather station—never again will you have to rely on the forecasts from the television presenters. You'll need a fair bit of extra hardware to get this up and running but the actual configuration isn't too difficult to get your head around. DragonTail has more on the setup. Get yourself a Raspberry Pi and a bird box and you can use one to monitor the inside of the other—bird watching is much more interesting when you can see what's going on inside the box as well as outside. You can even set up a live Internet stream if you want to. You're also going to need a Raspberry Pi NoIR camera board and infrared LEDs. See the Raspberry Pi site for more details. This propane-fired updraft kiln was built by James Gao from an old electric kiln, a Raspberry Pi and some extras—including 3D-printed gears. The attached Pi provides remote control capability and automatic temperature regulation (via a thermocouple and a stepper motor) through a closed-loop feedback system. Code and photos can be found via the Raspberry Pi blog. We all enjoy a spot of retro gaming and there are multiple ways to use your Pi as the basis for a console, handheld or arcade cabinet of yesteryear. The simplest method is to load some emulator software on an attached SD card and then attach USB peripherals—RetroPie is an excellent option and you can be up and running within an hour. Check out Lifehacker for a full guide. A bit of a niche case scenario this one, but there may be those of you out there with a juggling routine that you want to jazz up with the help of some LED lights and a Raspberry Pi. You'll need an SD card, a Pibrella board and some custom Python code, but the quality of the end result is worth it, and it can operate independently too. See Lauren Egts' blog post for the project details. Hook up your Pi with a Pibrella add-on board and several small motors and you can create a digital garden to your exact specification: Think ornate flowers made of card and materials, or artificial bees that spin around at the press of a button, or even a relaxing arrangement of plants accompanied by some soothing music. Geek Gurl Diaries has the step-by-step walkthrough.